Having potential customers go to your voicemail or missing their calls can be a loss in potential revenue. 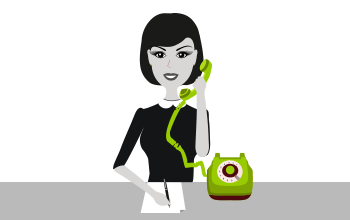 Look at our telephone answering service and let us help your business succeed. Find out more about our additional services that compliment our phone numbers. Make your phone number work harder for you by adding additional services. It will improve your customers experience of getting in touch with you.  Fax to Email is a service that converts faxes that you receive to a PDF document and automatically sends them to your email address. We are viewed as one of the most diverse and creative communications companies in the UK. Our portfolio consists of UK phone numbers which include ( 0800 numbers , 0845 numbers, 0844 numbers and 0871 numbers), Virtual telephone numbers (01 and 02 UK phone numbers), Virtual International Phone Numbers, International Toll Free Numbers, Fax to Email, Audio Conferencing and Call Answering.  Our philosophy is to provide creative solutions to customers who can control their services once we have delivered the product. For example our phone numbers can be managed online ensuring our customers have immediate control of call routing. Based in Birmingham City Centre we cover the entire UK and have recently expanded our service delivery to companies in the USA, Europe and the Far East. For more information on our products and services please either call us on 0207 760 7600, Send us an enquiry online or email us. The post International Numbers Regulations Don’t Need To Be Difficult appeared first on City Numbers Blog. The post Have a Global Presence in Uncertain Brexit Times appeared first on City Numbers Blog. There are 2 types of different Virtual Numbers that we supply. The first are UK Virtual numbers (Also known as Areacall, Remote call forward, Ghost numbers and virtual landlines). These allow businesses, big and small, to have geographic numbers anywhere in the country without actually being located there. You could already have 0800 numbers and 0333 numbers, but you still might want to target the local areas or the major cities. Virtual UK numbers give you this option and provides your business the ideal opportunity to a local supplier rather than a faceless national company. From John O’Groats to Lands End, all regions are covered and the possibilities are endless. Just like other non-geographic numbers, Virtual UK Landline Numbers can be forwarded to any landline, mobile or international location and additional services such as Voicemail to email, IVR, Auto Attendant, Call Whisper and much more can also be applied. UK Virtual landline numbers are our biggest seller as more and more companies want to appear local. Here is an example of a company that use the service. Distributor of Manchester United football memorabilia based in London wanted to have a presence in Manchester. We have provided them with a virtual 0161 number that points to their existing office in London (0207). We then added a service called "call whisper" to the line so that when they pick up the phone it says "this is a call on your Manchester Number". Rather than opening an office in Manchester they now have a virtual presence and their customers aren’t even aware that they are 150 miles away. They have taken this one stage further by employing a person with a Mancunian accent! The international virtual numbers and UK virtual numbers are exactly the same; you can now advertise the fact that you have a local office in over 50 countries (over 4000 cities). International Virtual Numbers give you the ability to have any local city number worldwide and forward back to your existing phone number. Need a phone number in Las Vegas, New York, Sydney, Barcelona and Rome? Not a problem. International Virtual Phone Numbers are extremely popular and getting ever increasingly so with the rise in demand for global trading. If you are considering selling your services in international markets then don’t open an office, take on staff, learn the language and then try to wade through the red tape. Simply buy a local phone number in the country you are trying to expand into and test the waters. Not only will it be significantly cheaper but you will not have to get on that tiring flight just to check up on your team. So if you are looking to get ahead and expand into other countries (we supply numbers in over 50 worldwide countries) then look no further. Give us a call on our local numbers and let us take your business global! International Toll free numbers are the best way to get a global look and feel for your company while also using non-geographic numbers. This service allows you to take a free phone number in over 40 countries and have it diverted to any of your existing phone numbers (this includes UK landlines, Mobiles, International landlines or international mobiles). International Toll Free numbers are an ideal way to attract new customers from an international market. You do not need an office in any of the countries that we supply this service in and as the cost is low it gives you a chance to test a market. Almost every country has a difference free phone number range. For example USA toll free numbers start 1800 or 1866, Sweden Toll Free Numbers start 0207 and Italy Toll Free Numbers start 900.  The numbers that we supply are provided to us from the local Telco and are not VOIP numbers. They are traditional toll free numbers from that particular country. We provide this service to some major organisations in the Banking arena, Pharmaceutical and Airline markets. With minimum terms on toll free numbers just 30 days it’s an easy decision to set one up.